Well established in Manchester for our customised carpentry services, the joiners at Morris Jones Joinery have a reputation of designing and supplying beautiful interior and exterior woodwork in this area for several years now. Whether you want to renovate your kitchens, bedrooms or the outdoors of your home or office in Manchester, our carpentry experts provide professional services for a diverse selection of standard and bespoke joinery services, including kitchens, bedoroms and loft conversions. The numerous repeat and referral customers that our joiners keep receiving throughout Manchester are proof of our outstanding carpentry service in this area. Looking for period furniture for your bedrooms or space-saving, modern kitchens in Manchester? Let our expert joiners transform your bedrooms and kitchens or outdoor areas into attractive spaces with a high-quality, affordable joinery services. 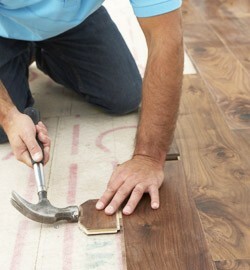 As the leading joiners in Manchester, our joiners offer affordable rates on all carpentry work. You also enjoy free estimates, a free consultation and a site survey, as part of our aim to ensure high levels of customer satisfaction. Call our joiners to discuss your joinery needs and benefit from stunning interiors and exteriors in Manchester today, on 0161 433 7940. As one of the leading joiners in Manchester, we are reputed for offering highly competitive rates on all of our joinery services. If you have a specific kitchen or bedroom furniture refurbishment requirement feel free to discuss your needs with our joiners.